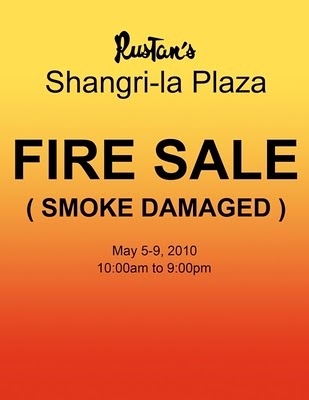 Last April 23, 2010, Shangri-la Plaza suffered a minor fire problem at their storage area and directly above the said area are the branded boutiques and cosmetics. So the merchandise were slightly damaged by the smoke and thus the reason for the FIRE sale! 🙂 I heard most items are on 70% off but the shoppers were quick to know and flocked to Rustan’s. Lines are long and good items are quick to sell. 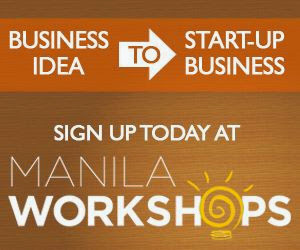 I plan to go but I wonder if it’s worth it. If I have known this a bit earlier, I would have gone no second thoughts. Anyways, I also heard that some of the “smoked” cosmetics were to be destroyed. Eeekk. So are you going? Share your loots!